We can’t deny the fact that iTunes provides an effective way for us to keep our data safe. However, iTunes backs up our data in a unreadable way, which makes it difficult to get our vital information. Did you have the similar predicament and trying to view iPhone iTunes backup on Windows? Stop panic, iFonebox can help you. 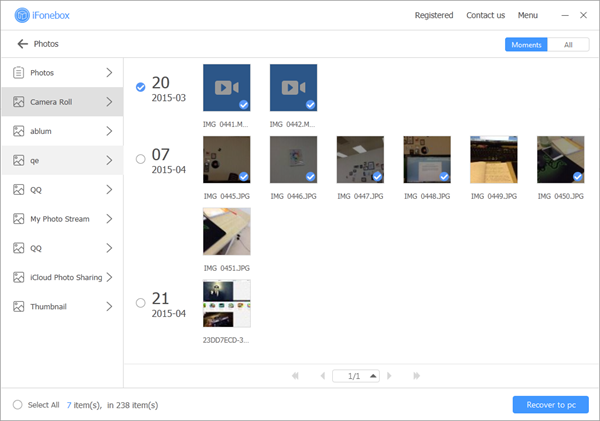 With iFonebox, You can view photos, messages as well as contacts, reminders, videos, notes, call history other data on your iTunes backup file by one click. 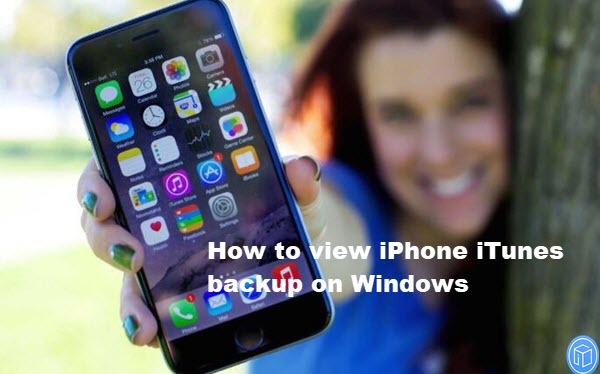 Following are the main features of this tool that make it perfect to help you see iPhone iTunes backup on Windows. Aside from that, iFonebox is also an extraordinary iOS data recovery program. It helps you restore deleted or missing data on iPhone even if you’ve never backed up before. As we all know, data loss can happen so quickly that you barely have time to back them up. As a result, iFonebox is extremely necessary for you to get back lost data in various urgent scenarios. 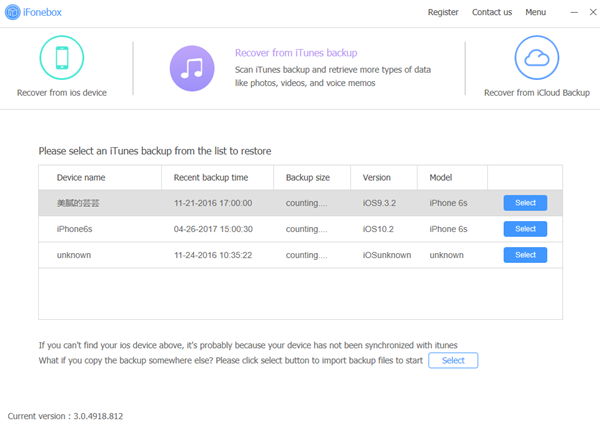 Can’t Miss: How to recover mistakenly deleted iPhone contacts if no backup? Click Recover from iTunes Backup File, you’ll see all backups you have listed in the interface, choose the most relevant with your wanted data, then click “Select” button to begin. 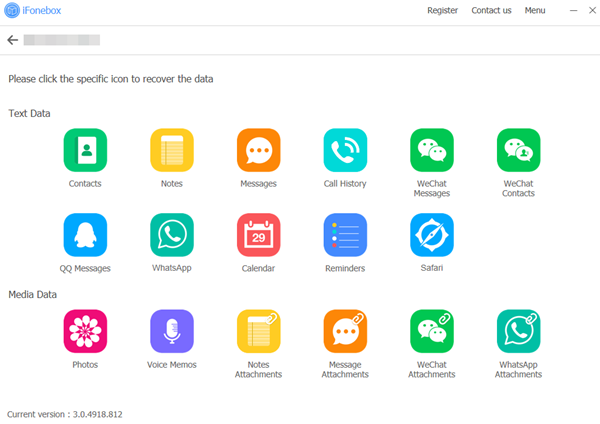 It will scan automatically after you click the specific icon, it might take your some time as the duration depends on the amount of your data. Now it’s time to view your backup data on computer, you can also choose the data you can’t find on your iPhone and click the Recover to PC button in the bottom right corner of the interface.